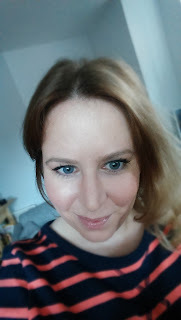 I've recently switched from blonde to brunette, however I didn't fully commit to the dark side and opted for the "ombre" (dip-dyed) look, with slightly lighter ends. A visit to the hairdresser always makes me want to get a load of new toys for my hair and this time I had the perfect excuse. The colour that Amelia at Russell Eaton in Leeds put on for me was semi-permanent, and as I wash my hair every day I asked what she suggested I use to keep my colour fresh for as long as possible. 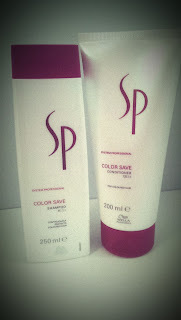 Amelia pointed me in the direction of this duo - Wella SP Colour Save shampoo and conditioner. These are really creamy and luxurious to use and as you don't need to use a lot to get a good lather, they should last for ages. As my hair gets longer, I find it more and more difficult to run a comb through it after washing - until I found out about this fab little tool. 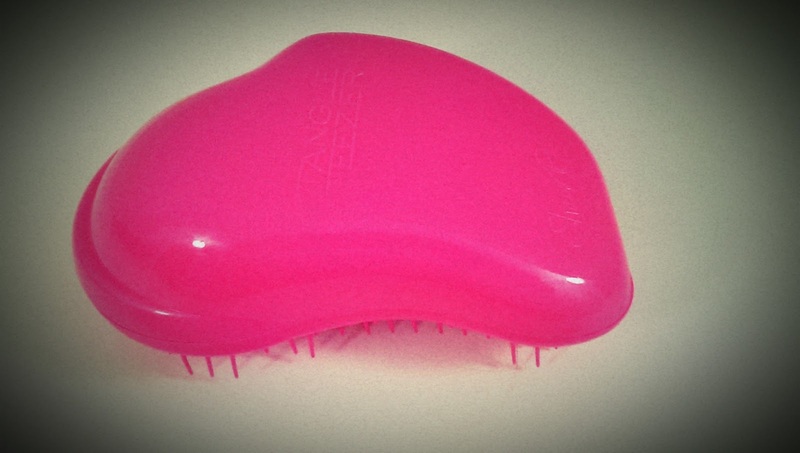 The Tangle Teezer is half comb, half brush and works its way through wet hair smoothly without any pulling, and best of all, it comes in this ace shade of pink (although I also have my eye on the gold one...). I got mine in Boots. And so to styling. I'm a sucker for packaging and I couldn't resist this cool trigger action spray when I was looking for a product to help volumised my newly coloured locks. 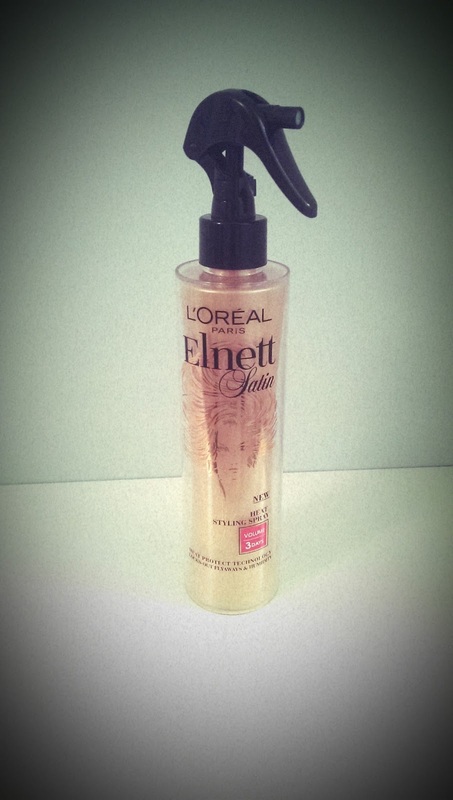 The Volume Heat Styling spray from Elnett by L'Oreal certainly does a a good job of keeping my hair both silky smooth and big & bouncy and it smells deee-vine!!! Mr. Forcella thought I had got a new perfume. I would wear this scent as a perfume. 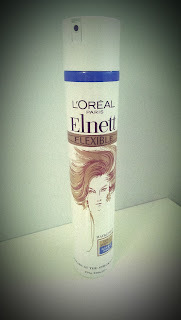 Finally, after a bit of GHD-ing, a good old spritz of L'Oreal Elnett Satin hairspray keeps everything in place. All the glossy mags rave about this product and I have to say that I've not found a hairspray that works better - a strong hold and no stickiness or hard bits. I don't like the perfumey smell of the original version, however, so I use the one in the white bottle which is fragrance free. I have, however, found a down side to Happy Hair Days - all the hair swishing and admiring myself in shop windows means it takes me a really long time to get into work in the mornings! !